Very few phone leaks are accidents, and a spate of teasers of HTC’s next flagship suggest a launch next month. 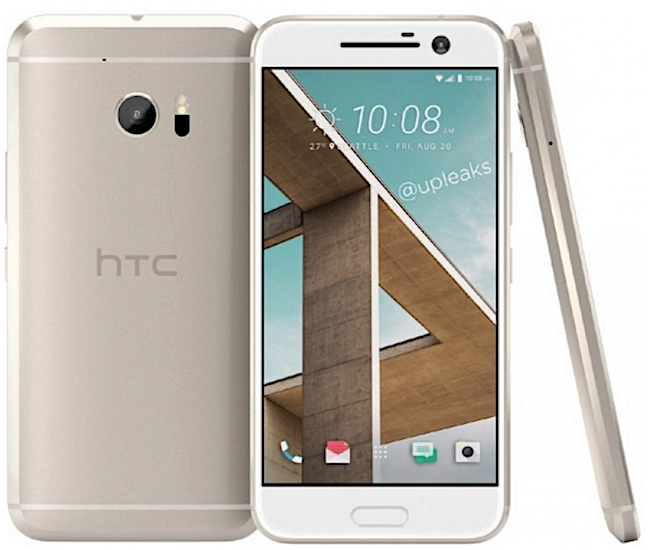 The HTC M10 reportedly has a 5.1 inch QHD display and a revised camera. Its looks borrow from the iPhone and Samsung Galaxy families, with a front mounted fingerprint sensor, with availability from May. The troubled Taiwanese OEM kept the flagship under wraps at Mobile World Congress last month, while Samsung and LG stole the headlines. 2014’s flagship, the HTC One M8 was popular with reviewers and sold well. But the M8 looks like a blip in a long term trend of decline. Its successor, the M9, failed to repeat either trick. HTC certainly needs a hit. Unaudited results for February show that combined revenue for January and February 2016 was NT$10.68bn, less than half that of a year ago. In Q4, HTC recorded a loss of NT$4.1bn on revenue of NT$25.7bn, with a negative operating margin of -16.1 per cent. Nevertheless, its share price rose based on strong pre-orders for its HTC Vive VR headset. The company said 15,000 were sold in ten minutes, at $799 a pop.